Sometimes multi-tasking can get a bad name. But when it comes to holiday helpers, multi-taskers are always a welcome sight. I don’t know about you, but the last thing I want to do around the holidays is get stuck with unnecessary cleaning and time away from my friends and family. That’s why I love finding things around the house that serve more than one purpose. That way I’m not only reducing clutter, but I’m maximizing time and as a byproduct, making more holiday memories. What if I told you that I could help you streamline your holiday table while still helping it look beautiful? 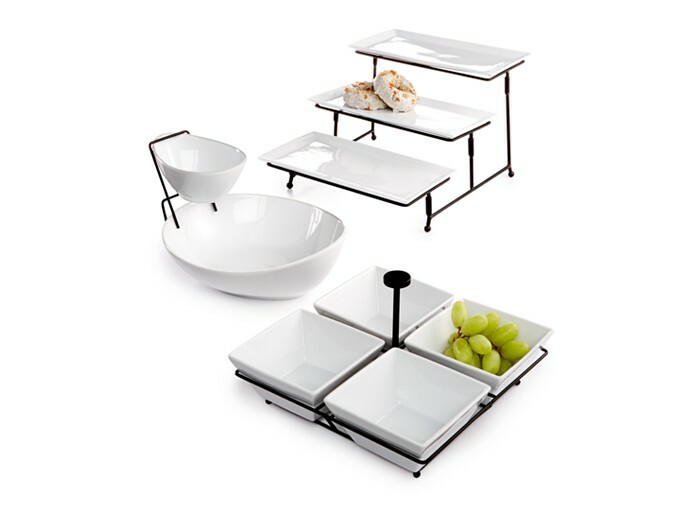 I’m a HUGE fan of The Cellar Whiteware Serveware & Accessories from Macy’s. Not only is it a workhorse because it transitions seamlessly from prep to oven to table, but because of the classic white style, it complements any table decor you choose. 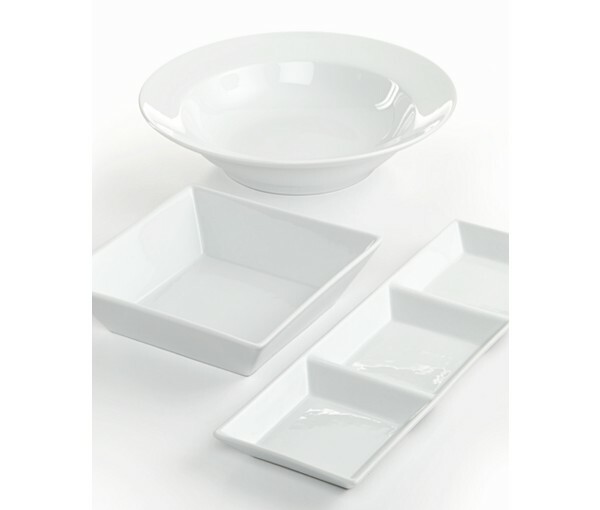 Finding serveware that is also oven safe is a big timesaver for me and one of my favorite tips to tell new hostesses. If I had to choose my favorite piece of the collection, it would be The CellarWhiteware 3 Tier Server. It’s like you’re getting four pieces in one! 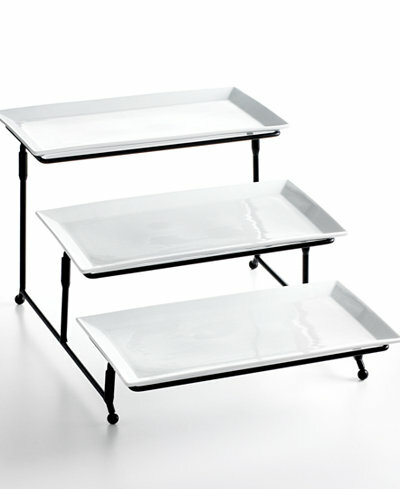 Not only does the 3 Tier Server feature three 6″ x 12″ trays that you can use around your home for everything from appetizers to candle displays, but when it’s time to come back to the table, you can display them on the nearly 16″ tall tiered stand. One of my husband’s favorite table decorating tips is to display pieces at different heights. Not only is it more visually appealing, but it also makes it easier for your guests to enjoy the food you worked so hard to prepare. And don’t worry about the stand taking up too much space in your pantry because it collapses easily for post-party storage. Depending on your specific entertaining needs, you can find the perfect piece in The Cellar Whiteware Entertaining Collection, but if you ask me, every holiday table needs the 3 Tier Server. Get The CellarWhiteware 3 Tier Server for only $34.99 right now with code VETDAY. So whether you’re getting ready to host a “Friendsgiving” with a fall theme or are already dreaming of your winter tablescape, I’m confident you’ll find the The Cellar Whiteware Serveware & Accessories will complement your holiday table perfectly.